"Review of my Spaceships-Rentals-Australia hire"
Spaceships Rentals Australia makes a good case for why it’s one of the country’s go-campervan rental companies! With no hidden costs, plenty of amenities and a quite reliable reputation, they're a class act for the budget market. 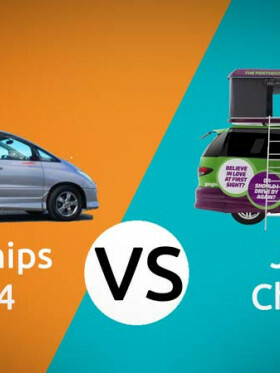 Spaceships Campervans were winners of the 2011 and 2013 Golden Backpacker Award in the category: Best Car / Campervan Rental Australia: Is there a good reason? 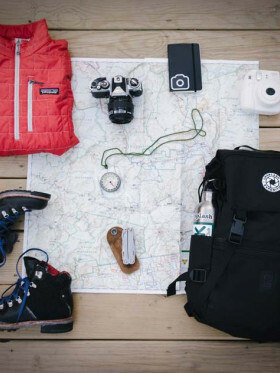 To start, Spaceships was founded in 2004 by a group of businesspeople who spent a quarter century catering directly to the needs of backpackers and other travellers. The minds behind Spaceships Campervans realized that most travellers wanted an option in between the bare-bones offerings of most budget campervan rental companies and the oversized, overstuffed, and overpriced alternatives rented out by the high-end companies. Spaceships Campervans Australia also encourages its own community of clients and enthusiasts that huddle around the company’s proprietary “Space Mates,” outposts along the road for Spaceship renters to meet up, collect information, swap DVDs to help pass the time on long trips, and generally touch base with other like-minded individuals as you pursue your adventure! 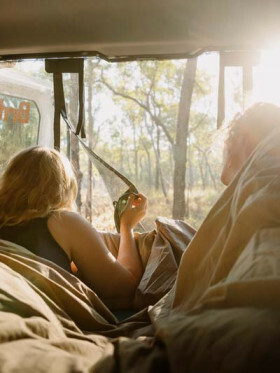 At the time of writing, Spaceships Campervans Australia offers 36 of these different “Space Mates” throughout the country. These stations are located conveniently, dotting the Eastern coast with a few planted in the south around Melbourne and in the Northern Territory around Darwin and Alice Springs. Keep in mind that not all of these Space Mates are fully-stocked depots. 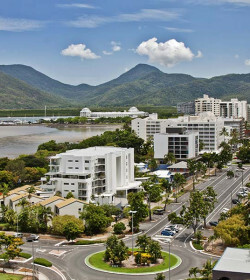 Despite offering a large number of Space Mates rest stops, Spaceships Campervans Australia only offers depots for picking up and dropping off your vehicle in Brisbane, Cairns, Melbourne, and Sydney. 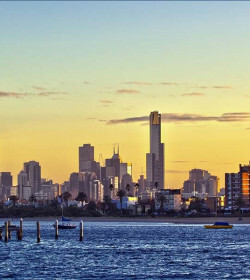 While limited compared with some of its competition, Spaceships Campervans Australia’s small range of depots is located centrally enough that most people won’t have any problems hiring their services. 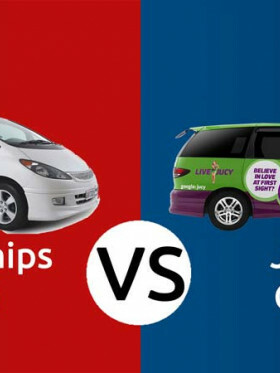 Spaceships Campervans Australia offers late model cars. While Spaceships Campervans was founded in 2004 it didn’t reach Australia until 2007 (starting in New Zealand), and none of the campervans in their fleet is older than that, with new cars (complete with new features) developed regularly. 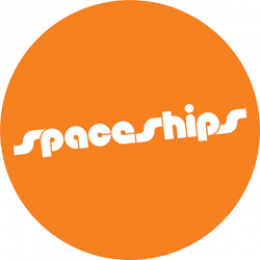 Spaceships Campervans Australia started with about 200 campervans in its fleet with plans to expand up to 400 units in coming years. Currently, Spaceships Campervans Australia offers its clients 3 kinds of campervans, all budget-friendly options. The original “Spaceship” is a custom Toyota Estima called the Alpha 2 berth. It doesn’t come in 4WD or an external awning and it runs off a tank that can only take you 500 km without a refill. The cars themselves are stylish, iconic and filled with plenty of perks. Each Spaceship comes packed with a large double bed that can extend outwards for external sleeping, a dual-burner cooker, seating for 3-4, a DVD/CD player that can connect to your iPod, a large and secure storage space, a small fridge and even a solar-powered shower! The latest additional model is the Beta 2S― a premium campervan that seats 2 people with a lot more space. 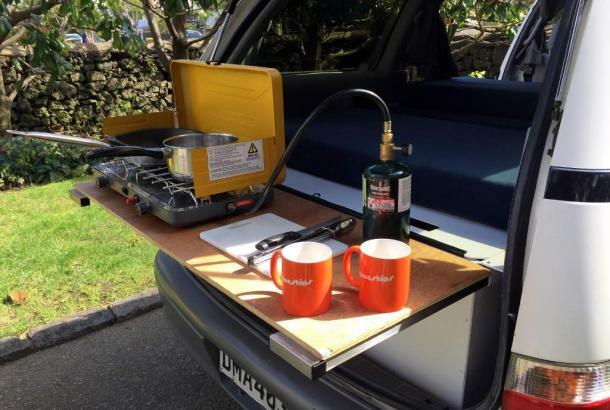 However, the campervan has more or less the same features as Beta, except for a roomier interior and lesser tank supply at 15 liters only compared to the previous ones at 20 liters. The standard insurance excess, which also corresponds to the security bond to be paid at the time of vehicle pickup thru credit card is $3,000. There are two reduction options: Partial Reduction Option at $20/ day for an excess/ bond of $1,500 or All-Inclusive / Full Cover at $30 for $0 excess/ bond. The All-Inclusive option already includes wind cover, window/ glass tyre, roof and underbody damages, as well as single vehicle accidents. To this day Spaceships Campervans Australia has remained a small business focused on meeting the needs of independent travellers and backpackers looking to explore the world on a budget without sacrificing comfort and style! 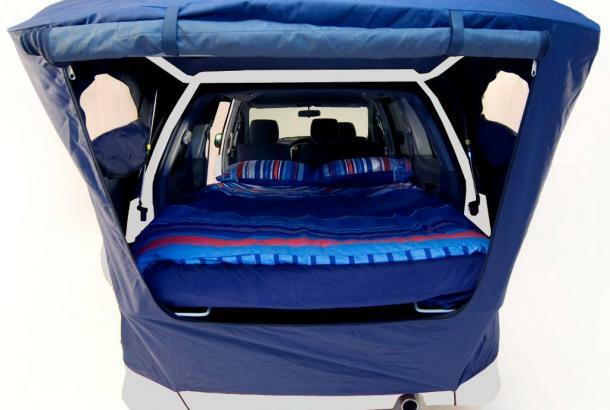 However, this vision was shared by another company – Jucy Campervans. 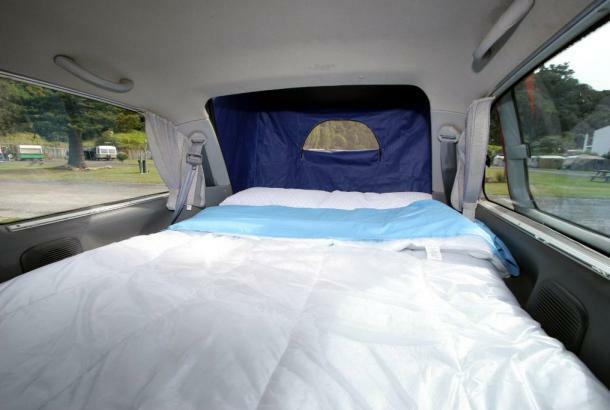 Jucy is the only other campervan hire company in the market that has these type of vehicles. But because of the Spaceship community, this has helped build the company’s great reputation. In fact, fans of Spaceships Campervans Australia are really ardent in their love! Proof of this love can be found quickly and easily by taking a look over at their Facebook page. With thousands of “Likes” and a very active community of individuals engaging directly and regularly with the company, it’s clear Spaceships Campervans Australia is deeply appreciated by their clients! For a small and young company, Spaceships Campervans Australia has done very well for itself. It’s found a unique place for itself in the market, it’s attracted a close-knit group of loyal clients, and it’s managed to grow at a fast rate without sacrificing what makes it so great! Overall, these guys are great value for money and will try hard to please you. If you only have a small amount of luggage, prefer driving a car rather than a van and want to be welcomed by other drivers when you see them, this little campervan hire company are for you. On the surface, this does what it claims, i.e. a low budget offering. But what they don't tell you is that their agents are making commission from selling insurance and they'll do whatever they can to force you to pay for insurance you don't need. So when I booked online I paid for the van and insurance which I thought, given the rough look of the vehicles, might be wise). When I came to pick up the van I was told I'd need to buy insurance, or they'd take $5000 from my account for the duration of my trip. Errrrr... I chose this company for budget reasons, how am I going to live without that $5000, even if I had it? Well, that's easy the assistant told me. Just buy some insurance from me. "But I already bought insurance when I booked", "Ah no, that one is no good. I can only let you keep your $5000 if you buy another insurance policy from me". I suppose this is legal. I'm sure they've had a team of corporate lawyers look over this and other money making schemes. But is it morally right? Hell no. Just take my advice. Avoid these money grabbing business men at all costs. I hired the vehicle at just 3 days notice and there was nothing else available without spending a fortune elsewhere. Spaceship rentals staff are very friendly and helpful. They have mostly modern campers in good condition but ours was old and tatty! However, it was mechanically sound, not heavy on fuel and cost me $1000 less than I was expecting to pay for 6 days hire! My son loved the vehicle, I didn’t, but we did have a great holiday! It had a startup problem when I went to get it, so took 5 hours in total to get roadassisence to fix it, with waiting. Not so fun when I then couldn't get anywhere.... Feels like it's wasted money that whole day. The rest of the time though it just was a little slow to start the engine, but luckily startet everyday. Does what it's meant to do Small, convenient. Just enough space for 2 adults and 2 kids. Staff were helpful, friendly and accommadating. We have rented Alpha type, pick up Melbourne, drop off Brisbane, December/January 2018/19, car was old, occasionally made noises for a short time, super clean, mattress more comfortable than expected, stuff very helpful, we needed to use a help line the second day - missing cutlery, broken shower, lady on the phone very nice and helpful. As a budget campervan rental company would recommend. "DO NOT RENT FROM SPACESHIPS"
Probably the worst and most dangerous experience I have ever had. I have hired a car before so I know the drill. We picked up our van and were driving to the west coast when within two hours the wheel fell off the van. We almost rolled off the side of the road down a cliff. The care was NOT roadworthy. We had witnesses who agreed that the nuts and bolts had not been tightened. We could have died if there was incoming traffic. Everything had sheared off and it has not been checked by a mechanic. We lost two days of out trip. We were 2 hours out of Christchurch and it took 20 hours to get a new vehicle. Everything at spaceships seemed incompetent. When they sent out the second car, we asked the mechanic to check the wheels and again he stated that it was not roadworthy with every single wheel bolts needing to be tightened. HOW CAN THIS BE? Spaceships are willingly sending out cars to offer us a death sentence. The cars have over 300,000km and they hardly function. We were cringing on corners and were not confident in the cars ability. I would not recommend. I would never rent for this company again and will probably escalate this inquiry further than I already have. Also, the windscreens are pathetic and they give you hopeless ones so that they crack and you have to pay for a new one. Spaceship rentals will over charge for everything possible. A 5$ camping chair will cost you $50. Their administration fees are ridiculously expensive. Fortunately all of our gear was in fine condition when we returned the car or we would have needed to go to the bank for a loan. Even though we registered the car for the applicable tolls and had tolls charged to us, the company still sent emails that we did not and charged us admin fees for it. We called and confirmed the information with an employee from Linkt, the toll agency. Everything was set up accordingly, also emailed spaceship to make sure o and 0 were the correct ones. Everything was in order. This was before we went through any tolls. They still charged us for admin fees for not paying for tolls. Seems like a money grab. The whole trip you need to worry about their ridiculous fees they will charge you if anything happens to a chair, table, anything. This company makes it difficult to enjoy the road trip you are embarking on. The employees seem like they don’t want to work there and are very disinterested. The company makes you sit down when you return the car and write a review, while they sit beside youth. This pretty much ensures the review is good. It’s crazy a company would have you sit beside them and review the company. The van itself is very cramped, I understand you’re sleeping in a car, but the design of them isn’t great. You’re sleeping on an elevated box in the van, which then allows for a foot or two of space. You’re pretty much squeezed up against the roof. The cushions you use are cheap and hard. Do not use spaceship rentals. This company will try to get as much money out of you as possible. The car was old and worn. Inside, appliances, such as electronics and fridge, barely worked. Staff generally wasn't interested, when we reported problems. Finally, after the car's lock got jammed, we were requested to spend hours of our last vacation day in search for locksmiths to fix the problem by ourselves. The pricing was also incredibly high. I cannot recommend the company to anyone. Van was good for a budget van and had everything you needed (very worn though). But there was bed bugs which we didn't realise until the last night. Bites in pair, really itchy, big welts. Gave us full refund, but massive hassle and bother. Would not go with them again. had a great little time, but a little small for my long legs. had a great time. 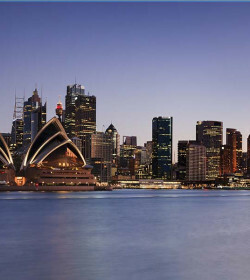 Australia is ace! Luuuuurve byron bay. "Terrible customer service, old rundown van"
The van we got was outdated and the interior was worn very very basic. Electric windows in the car were faulty and we had to drive half the journey with a window stuck down. In addition to this the customer service post trip was absolutely horrendous. We were stung with hundreds of dollars in toll and admin fees that were not made clear to us. Avoid this company. We hired beta(suppose to be a middle range) from Cairns for 7 days end of May. Staff are nice and explaining the car very well, and mentioned that car has to be "clean" when returning it. We thought we just need to clean the front and back windows. WRONG! You have to really clean it inside out, so next customer can use it as it is. Otherwise, $100 cleaning fee. We went to car wash around the petrol station to save the $100. The car seems old, but didn't break down! We were a bit worried by the look of it. The bed is surprisingly comfortable. But we only stayed in the car for 2 nights, when it's raining, it's not fun, and you can't sit straight. Overall, I would hire a bigger camper next time. -	Pick-up car. It first started when we wanted to pick up the car. The staff person who handed out the car was not interested whatsoever and failed to instruct us where we could find the oil dipstick. We have tried looking for that one for the whole holiday, but we couldn’t find it. Remarkable considering you have a big label on the dashboard that the oil and water should be checked every 5 days. The car we received wasn’t clean, which was shown to your staff as we pulled a jar of mayonnaise from under the seat. -	The car which we received was a very old car and it had almost a half million of kilometres on it. The wear and tear was very noticeable. After a short drive I noticed that the steering wheel was wobbly and not staying in its place. We returned with the car, but the only advice of your staff was to pivot the steering wheel to the lowest position, so it wouldn’t wobble in every direction. We asked if we could get a different car, but although there were at least more than 20 cars standing at the location, we were told that this was absolutely not possible. -	The car was leaking cooling fluid and we had to stop to get emergency help. Something we had expected from the start. I have included a picture of the car and the fluid leaking. -	On our final day I checked the opening times of the drop-off location. I noticed that the location was closed at our agreed time, so I made the effort to call the office and confirm the drop-off time. This was told to me by the lady on the phone: if it is in your contract, than that is the time of the drop-off. But one of your staff of the drop off location had a mind of his own on the matter and called me at 1.00 p.m. saying I was an hour late. I tried to explain him, but he would not listen and wanted the car back at the depot as soon as possible. I am still very upset by the way I was treated! -	Finally at the drop-off we were asked if the car met our expectations. After telling all of our complaints, we were told that it was an old car and that comes with the age. Please note that we did not sign up to get an old car with that and we feel mistreated in that way. All in all I can tell you that we are truly disappointed with the product and service. We have given several occasions to the staff to treat our complaints in a normal manner, but we were left unheard. It is especially appalling considering the fact that we hired a campervan from the organisation in New Zealand two weeks before and they were able to give a good product and service. "Far from the "Swiss Army Knife" quality!" The concept is good but the state of the campers we rented were inacceptable. Mid March 2017 , we rented two Spaceship campers, one in Sydney and the week after, another one in Brisbane. In Sydney, it tooks 3 Hours to have the camper operational. The sliding doors were not working, the body panels had to be fixed as well as the battery.For these issues, the manager gave us a one day refund. We finally had during our trip a battery break down and after few days we could hardly open the sliding doors and it was impossible to open them from inside the car creating a safety issue in case of accident. 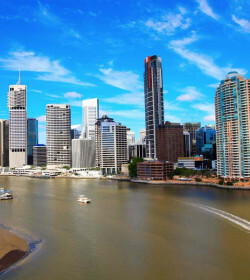 The week after, we took another Spaceship in Brisbane. Few hours after we left , we had no more electricity in the car: no more fridge, no more light inside. The staff of Spaceship tried to help us, they send a technician to replace the battery but the problem was not solved. We return the car 3 days in advance and we were refund for these 3 days. The staff was helpful but there campers are so old that making them working properly in mission impossible. Spaceship has a very attractive web site which is misleading regarding the quality of their campers. Just avoid to contract with that company. "If your new to Aus make sure you completely understand the toll system"
My friend and I rented a van to travel along the east coast of Aus, the issue though was the person that we rented the van from seemed to have little understanding of the vehicle that we were getting. He was also extremely unclear on how the toll system in Aus works, being from Canada most tolls are payed at the start or the end of the toll road and not recorded then mailed later. My friend and I attempted to use the internet site with little success and had less success with the phone number that we were provided as they directed us to the website. I have since received a toll notice in the mail informing me that it could have been payed at gas stations which we were completely unaware about. The total toll amount has equaled over 180$ so far, some of which I have had the charges appear on my credit card and one noticed has been mailed to me. When returning the van the worker seemed sympathetic stating that they heir temp staff for busy seasons and seemed to know the staff member that gave us the van and understood that we might not have received the the clearest of information in regards to tolls. The tolls are sent to a 3rd party company that collects the from the renter which means they have no ability to assist renters with toll charges, they also charge an administration fee that is 30$ per toll. That being said the van worked well, my friend and I had no issues with the equipment provided, our only complaint is the poor information provided about the tolls system and the money that we are paying a month after our vacation has ended. "Needs more attention to mechanical"
I picked up a camper in Sydney but the transmission failed about 15 min later inside the M5 tunnel. After a few hours I got back to the depot and picked up another van but found that the rear side door was locked and would not unlock. During our second day I repaired the lock but both side doors would not lock with the remote. The second vehicle was better than the first but I was still disapionted. Loved driving around in a Spaceship. Easy, just like a car. And still big enough to fit me (1.86m) and partner. Perfect for a 2 person road trip. Would recommend. "It is a nice car where you can sleep and make food"
Best wedding ever!! I think our clothes still smell like wine/ shots. Definitely lots of spills and some memory loss. Ohh and the &amp;qhtt;Suoos! Shots! Shots!&quot; song still makes me slightly nauseous! Haha. Love you guys! Happy Anniversary (again)!